The Vocktail – short for virtual cocktail – glass technically lets you turn water into wine, or pretty much any other drink imaginable. It accomplishes this messianic miracle through multi sensory stimulation, essentially tricking your eyes, nose and taste buds that you’re consuming something completely different. The revolutionary glass comes equipped with LED lights that allow you to change the color of the drink, sliver electrodes on the rim of the glass which stimulate the tongue so that it tastes the liquid as salty, sweet or sour, and three micro air pumps equipped with flavor cartridges, which are activated when a person sips from the glass, fooling their nose into detecting a far greater variety of subtle flavors. 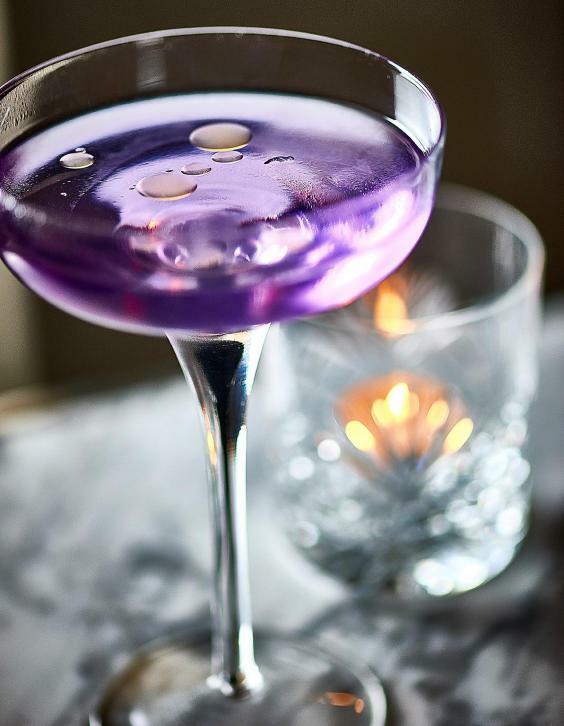 The Vocktail Glass also comes with a companion smartphone app,which allows you to quickly change the color of the drink, as well as the micro-amps released by the electrodes, to alter how your tongue perceives the drink – 180 micro-amps for a sour taste, 40 micro-amps for a salty taste and 80 micro-amps for a bitter taste.